It manages the complete flow from initiation of CAPA till closure after effective review. Architecture allows application access using web technology . Standard questionnaire can be configured which is to be answered by concerned departments during the CAPA flow. Impacted departments can add Corrective and Preventive actions as suggested by Initiating department and Site QA. 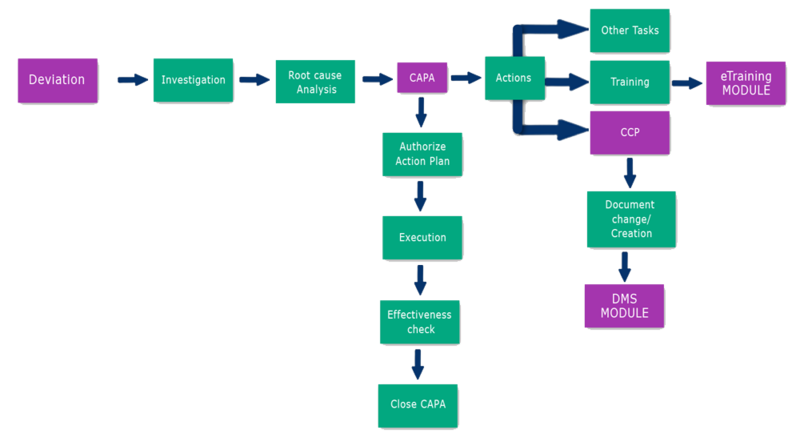 To verify effectiveness of CAPA each action can be assigned to different reviewers. Input of effectiveness check is recorded. CAPA can be monitored and tracked by Site QA using different tracking options.